An anthology of essays from the second year of the English Historical Fiction Authors blog, this book transports the reader across the centuries from prehistoric to twentieth century Britain. Nearly fifty different authors share the stories, incidents, and insights discovered while doing research for their own historical novels. From medieval law and literature to Tudor queens and courtiers, from Stuart royals and rebels to Regency soldiers and social calls, experience the panorama of Britain’s yesteryear. 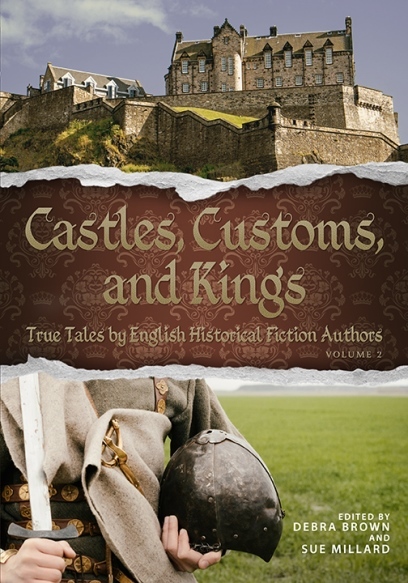 Explore the history behind the fiction, and discover the true tales surrounding Britain's castles, customs, and kings. Visit the English Historical Fiction Authors blog & Facebook page.